Removal disks are used for storage of all files . Write Protection is enabled for keeping the files secret and inorder to safe guard removal risk from virus.But now write protection to the pen drives, External hard disks , USB’s have become a problem for many of the users.First users put the password for it and then they face many problems while opening it.Accessing the removable disk with write protection is difficult.Now lets learn a crystal clear procedure to remove write protection. Here are the working ways which are tested and working properly. I hope this three ways might help you to remove write protection from USB/pendrive. Note : Follow the Process Step by step carefully , if the problem persists you can comment below. 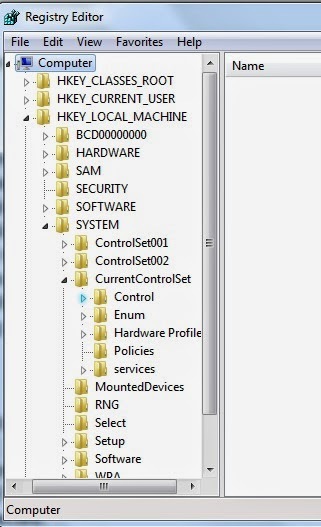 1.First You need to open the Registry editor in your PC. 2. For this, Click on Start button –> Run –> and type “regedit” and press enter. 3.Now you see a pop up menu which have 5 folders. 4.Now you need to navigate to HKEY_LOCAL_MACHINE –>SYSTEM –> Currentcontrolset –> control. 5.”storatedevicepolicies” folder should be created under ” control ” menu now. 6. Open a new note pad file. 9. Then copy to Startup folder.After doing it ‘writeprotect’ option will appear in the right side, just right click on it and modify value of hexadecimal value from “1” to “0”. 10. Now remove your pen drive and restart the PC. Yeah ..!! You are done .This pen drive works normally now as write protection is removed . 1. First you need to open Command prompt, Go to Start –> Run –> type ‘CMD’ and press enter. 2. 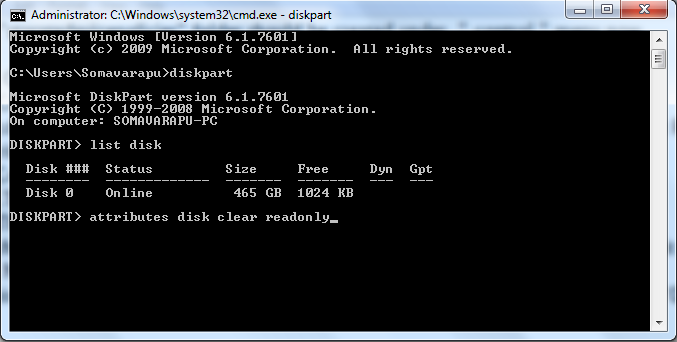 Type ” Diskpart ” in command prompt window and press enter, then it will appear as shown below. 3.Beside of diskpart > type ‘List Disk’ and press enter. This will show configuration and properties of USB. 4.Now Type ‘attributes disk clear readonly’ and click enter to remove the write protection on your usb. 1. First of all you need to shut down your PC first. 2. Connect your Pen drive to the PC in switch off mode and turn the PC on now. While Computer is about to start , press F8 before ” Starting Windows ” appears. 3.You will be redirect to Advanced booting window. 3. Then select ” Safe mode ” using key board. 4. As soon as pendrive is detected , navigate to local disk on PC. Now type the drive name to which the pen drive is connected. For example your Pen drive is detected as ‘G’ drive, then type ‘G’ and press enter. 5. Now enter G: format G and then appears Y/N , type ‘Y’ (yes) to confirm. 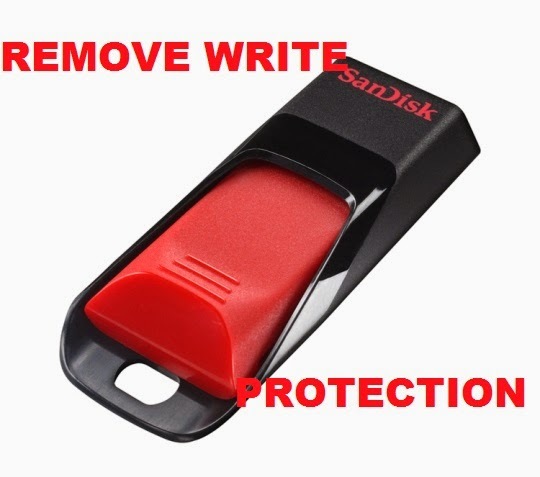 so that you can remove the write protection of your Pen drive. Hope you can remove write protection of USB/pendrive/hard disk using this tricks. Use either of the methods , if one method don’t work with your device.Follow the process step by step carefully. Do it at your own risk. Keep visiting alltricksbuzz for more tricks.